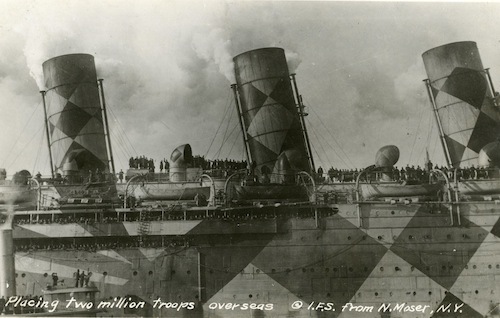 Famous photographic post card of Mauretania in her diamond-shaped dazzle scheme. 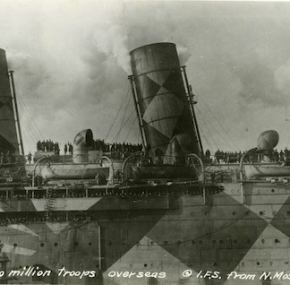 One of several she sported during the war. Crawling with troops (they’re even standing on top of the wireless cabin). Unused and in excellent condition with one dog-eared corner.